Students reading with their families! 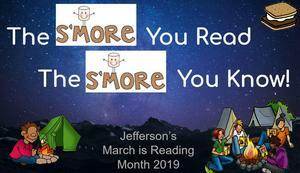 Jefferson's Reading Month Theme is "The S'more You Read, The S'more You Know!" Spring pictures will be the morning of Thursday, March 7, 2019. Yearbook orders are also still open- go online to check it out! Popcorn Days are back for the school year! They will be the first Fridays of the month. 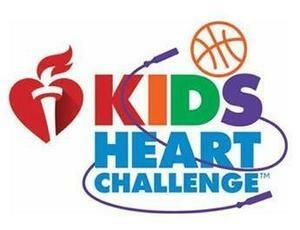 Jefferson is participating in the Kids Heart Challenge (formally Jump Rope For Heart). Students are encouraged to raise donations for the American Heart Association. All money is due 3-1-19. Here's what's happening this week! Pierce's Got Talent this Thursday! Join us at 6:30 at Thurston High School to support Pierce's final contestants!